There is more information available on this subject at Ganymede on the English Wikipedia. 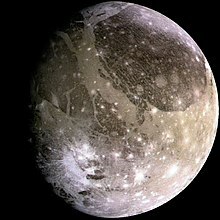 Ganymede is the largest moon of Jupiter and in the Solar System. It is mentioned multiple times by the Faction leaders. It is possible the Guardians may visit Ganymede on missions for the Factions. There is a large Vex presence on Ganymede.